The Predator is a 2018 Science Fiction Film that will be directed by Shane Black. It will be a sequel to the 1987 film Predator. The Fugitive Predator. also known as the Rogue Predator. has a unique right forearm Wristblades also known as Gauntlet Knives which collapsible and would retract completely into the gauntlet. 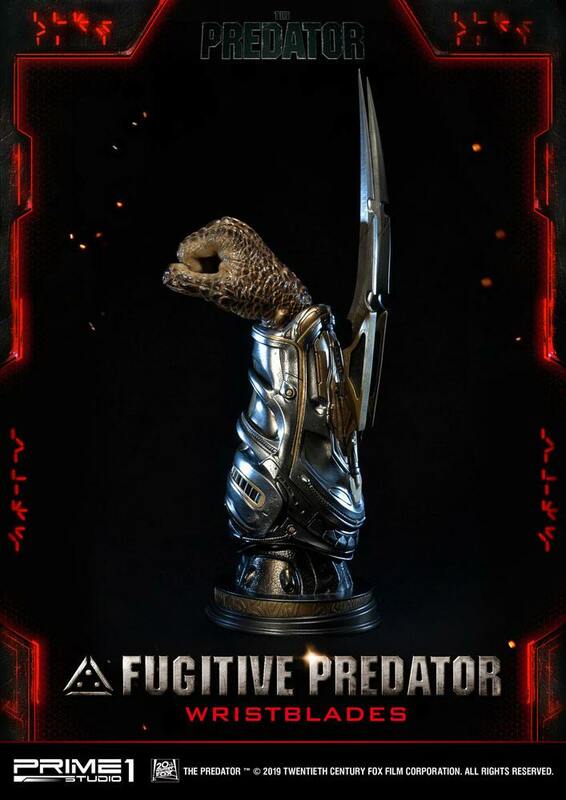 The Fugitive Predator Wristblades bust was made using Props 3D digital scan files as you will see in the film. making this the most film accurate of Fugitive Predator you will ever find.